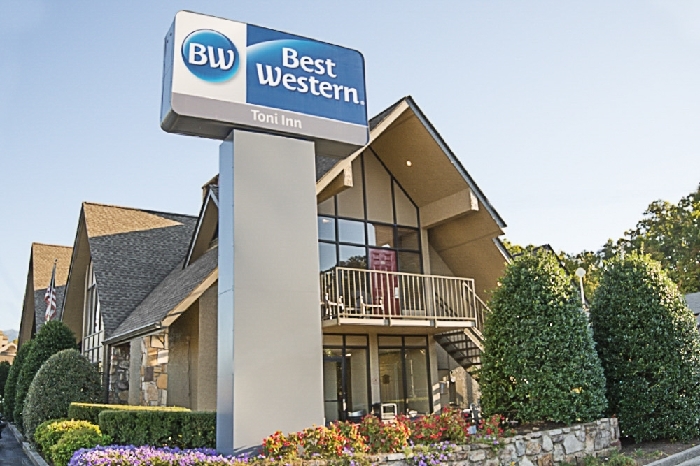 Conveniently situated right across from Dolly Parton's Stampede, the Best Western Toni Inn boasts a world of amenities designed to make your stay a comfortable one. 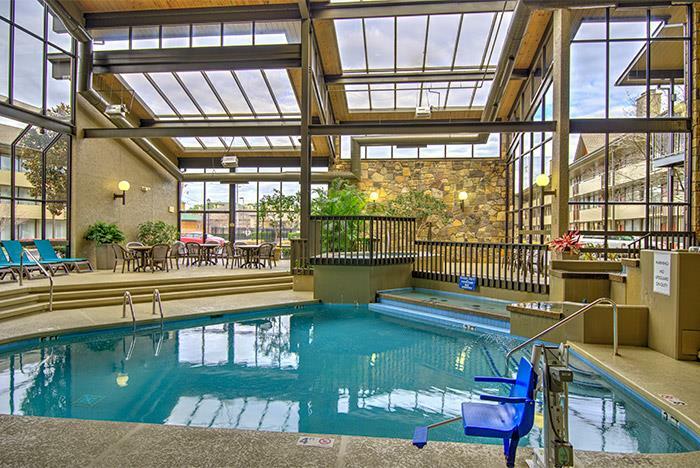 Featuring an indoor pool, free WiFi, and a complimentary breakfast, travelers of all types have everything they need at their fingertips. The spacious rooms include mini-fridges, microwaves, coffeemakers, and flat-screen HD TVs. Located directly across from Dolly Parton's Stampede. Stay connected with free WiFi access. 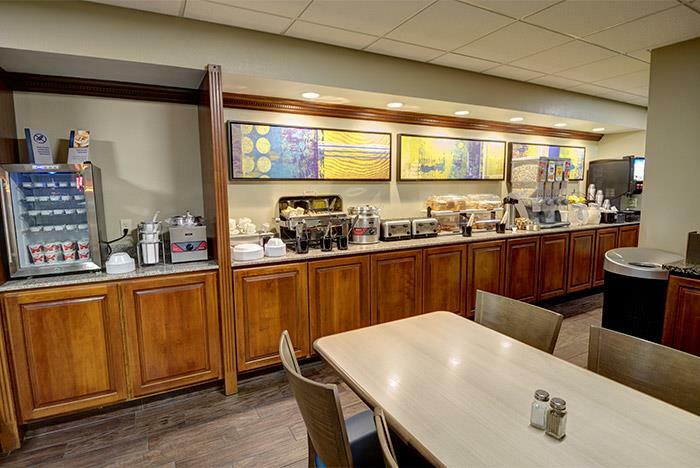 Fuel up for the day with a complimentary breakfast. The hotel includes a Pigeon Forge trolley stop. The Best Western Toni Inn is located on the Parkway in the heart of Pigeon Forge, directly across from Dolly Parton's Stampede. 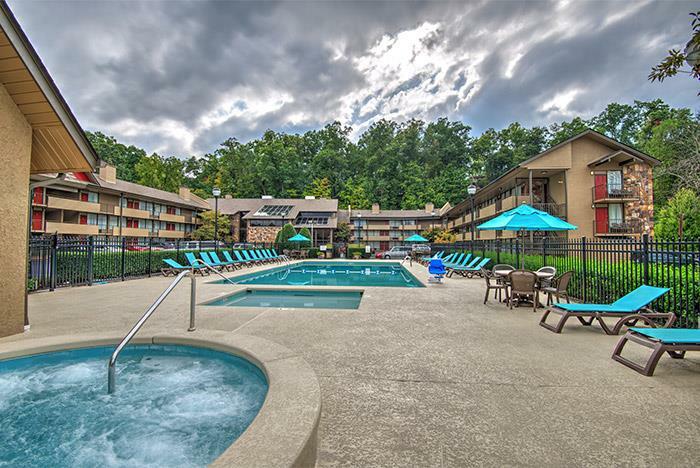 Our hotel offers a complimentary full breakfast including sausage, eggs, gravy, and waffles, an indoor pool with hot tub, and seasonal outdoor pool with hot tub. We also provide an onsite guest laundry and free internet for all of our guests. All of our rooms are non-smoking and offer coffee makers, microwaves, refrigerators, and 32-inch flat screen TVs. No. All rooms are non-smoking. Will my room include a mini-fridge and/or microwave? Yes. Rooms include microwaves and mini-fridges. Will my room include an in-room safe? Yes. Self-parking is available free of charge. Yes. Start your day with a free breakfast which includes sausage, gravy, biscuits, bear shaped waffles, scrambled eggs, bagels, hot and cold cereal, fruits, and pastries and beverages. The hotel has 115 rooms. Can I access the Internet while at the hotel? Yes. Free WiFi access is available to guests. No. The rooms do not have the capacity for additional beds.